as shell is to sand. as finger is to hand. 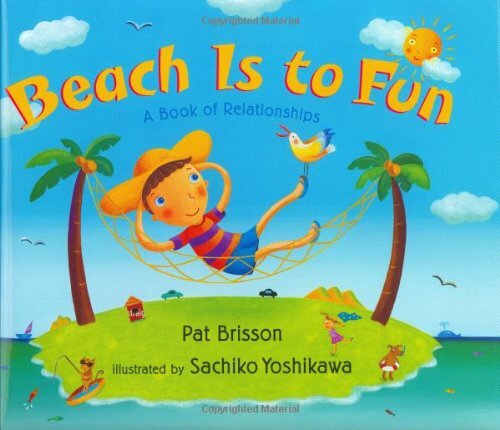 A trip to the beach-and all the excitement that surrounds it-unfolds in this cheerful picture book chock-full of engaging wordplay and sensory detail. The rhythmic text explores the concept of analogies in an accessible, immediate way. Children can begin to make their own associations and pairings as they long for a day by the sea!